Not a super blood wolf moon, but a crane moon. This entry was posted in Birds by Sue. Bookmark the permalink. Fabulous photograph, Sue. 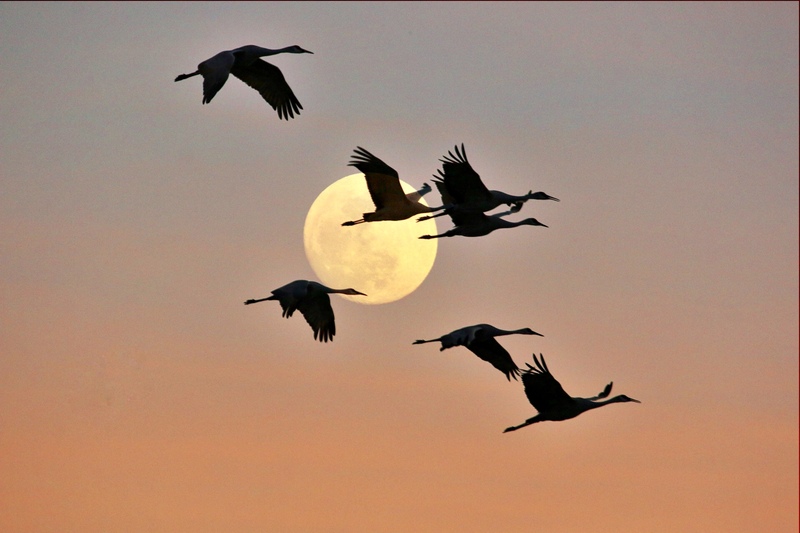 I remember the cranes at Horicon Marsh in Wisconsin & Loxahatchee Refuge in Florida when I lived in those states. Gorgeous total eclipse, glowing red moon & beautiful sparkling winter night right here right now in the Blue Ridge Mountains of western NC. This is a great shot, Sue! Wonderfully composed. . . . perfect timing. This photo gets framed and put on the wall, Sue, terrific!!! Great photo. As to the super blood wolf moon, can you believe it? I intended to get pix, but i forgot. Old age, I guess. Hi Sue – Wonderful photo! Do you ever sell your pictures? I would love to have a large print to frame.